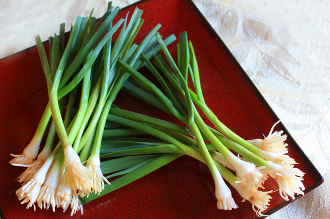 Fresh, robust leek flavor; Bright white skinny bulbs with long green stems. Delightful addition to soups and appetizers. Versatile and refreshing; Fantastic garnish for salads and Winter entrees.